Once the physical planet Eden (or Marduk) was destroyed, it continued to exist as a spirit planet, and has become home to many people who die on Earth and get settled into that paradise world. The beautiful earth-like existence is sustained on Eden by ethereal beings, three of whom act as suns, shining living light that is cast onto and transformed into the structures of Eden. 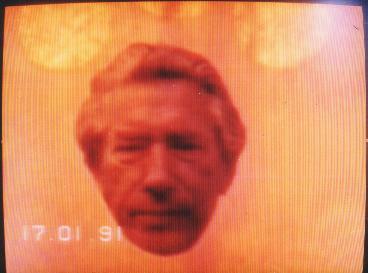 The two pictures below, received by German ITC researcher Adolf Homes in the early 1990s, show Swedish EVP researcher Friedrich Juergenson with the three suns of Marduk… after his death in 1987. Juergenson, again, with the three suns of Eden. 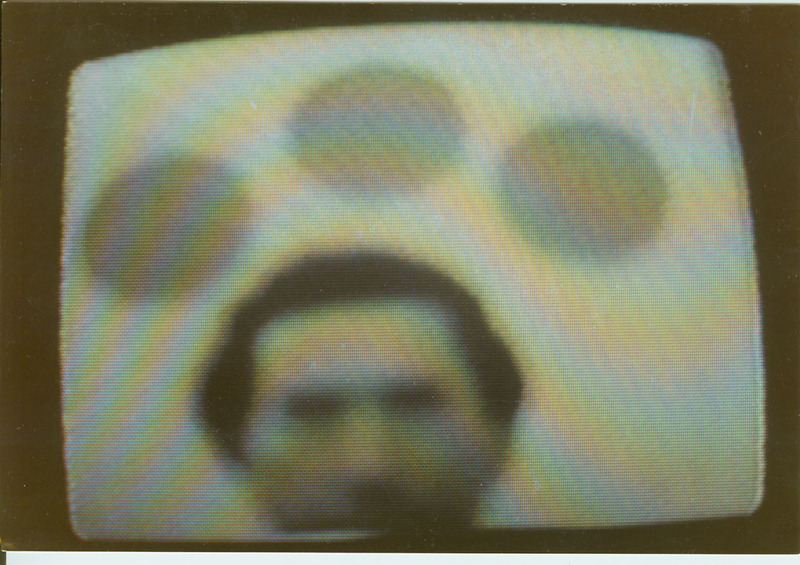 This picture through the TV of Homes was the first color ITC picture ever received. 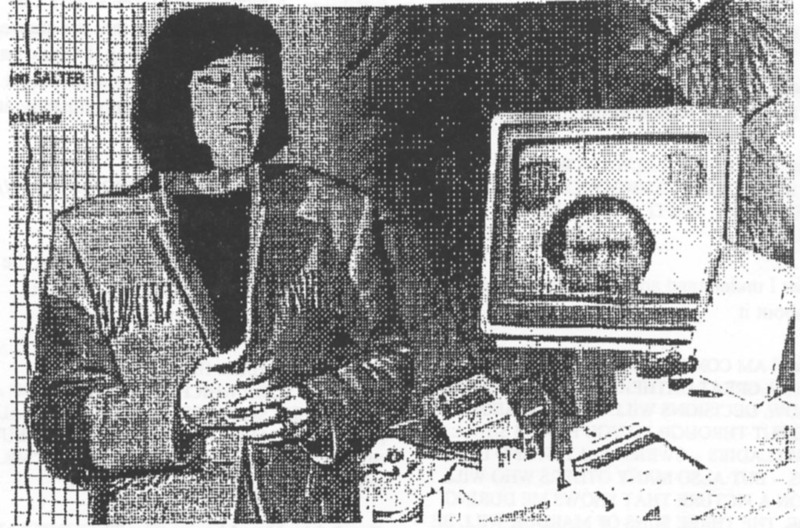 A third picture, received in Luxembourg as a computer file, shows the picture of Juergenson on a terminal in the Timestream spirit-world lab, as Swejen Salter prepares to send it to the TV set of Adolf Homes on Earth. Swejen Salter in the Timestream spirit lab prepares to send the Juergenson picture to Adolf Homes’ TV. This picture of Swejen was received through a computer of Maggy Fischbach in Luxembourg. In the fall of 1992, the Luxembourg experimenters submitted some questions from French professor Remy Chauvin to their spirit friends at Timestream… having to do with the nature of their world. They received a reply from Timestream manager Swejen Salter in November, which sheds more light on what we can expect after we die…. I received your questions, Professor Chauvin, and would like to answer you personally. The river* you seem to be so interested in winds like a snake around the entire planet Marduk. You might say it bites itself in its own tail. The river is fed by tributaries which originate in the surrounding mountains. Planet Marduk, as mentioned before, does not exist in space and time. I noticed that the ground of our planet does not consist of different layers as does the ground on Earth or Varid*. So it seems there is no water seepage. It is not possible for us to investigate the origin of the tributary springs more closely. As I said once before, we cannot cross the mountains. We can move along the river either with mechanical conveyances or with the power of thought for those who have advanced further. However, it seems we have been given limits to our investigation. The same is true of vertical travel with the help of hot-air bolloons, ziolcopters*, or by thought. At a certain height visibility becomes hazy and blurred and we cannot see what is behind the mountains. The station that we occupy today seemed to be waiting for us when we arrived here five earth years ago. All these were indications to me that the Technician and other higher entities are not ready to reveal “Project Kindergarten”* to us yet, particularly to those who arrived here from physical planets. If I understood well, mankind will have to reach a moral level that is higher than its scientific achievements before this will be revealed. You know as well as we do, dear Chauvin, that you live in a time in which the most amazing stories about paranormal phenomena are circulating. The public is being duped. * It is astonishing that this happens in an era that is scientifically so progressive. But to come back to the river, you may reply that the existence of a single river encircling the entire planet defies the laws of physics. It seems that we have different laws of physics here, as I mentioned to Ernst Senkowski before. Finally, you complain about receiving childish messages about scientific things* in comparison to those dealing with music. literature, and so forth. Need I remind you that science is not an art form? I would like to help you further, but this is all I can do for now. Let us wait together, if you wish, for further developments. PS – Yes, Anne is with me. The very best to you. Remy Chauvin doesn’t remember now, but it may come back to him when he thinks about when he was 20-25 years old. Concerning Anne, you are still puzzled about who she is? Her family name is Guigne and she died at age 11. Concerning Remy Chauvin’s question whether we travel to the stars: Yes, there are people here who take such a trip, but we better save the subject for another contact. There is too much to absorb. Every new report from our world elicits new questions, new difficulties. The River of Eternity has been mentioned often in ITC contacts. Many villages and cities rest on the banks of the large river in Eden. Varid is a parallel physical world of Earth where Swejen Salter was a scientist before she died and became head of Timestream. Ziolcopters on Marduk, or Eden, are akin to helicopters on Earth. Most paranormal researchers, with little understanding of this greater spiritual reality, simply become preoccupied with the way the many nonphysical forces manifest in our world as strange lights and bumps in the night. Their efforts to quantify and explain the other-worldly phenomena through the limited lens of worldly knowledge sheds little light on truth and stirs fear and confusion in the public. Anne Guigne was a remarkable French girl who died at age 11 and became an important player in ITC for a number of years, as head of the Group to Protect Newborn Life. I’ll devote an article to her fascinating story in the coming weeks… along with articles about the afterlife experiences of Jules Verne, Sir Richard Francis Burton, and others. Meanwhile, this picture shows 15th-Century physician Paracelsus overlooking a village on Eden, with theRiver of Eternity and a mountain range (discussed above in Swejen’s contacts) in the background. Paracelsus overlooks a village on Eden, with the River of Eternity at the base of a mountain range in the background. This entry was posted in After we die, what then?, Heaven and Earth, ITC, Other-worldly matters, Our paradise destiny, Science and Technology, Spiritual realms and tagged Anne Guigne, eden, Friedrich Juergenson, marduk, Paracelsus, Remy Chauvin, River of Eternity, Varid. Bookmark the permalink.